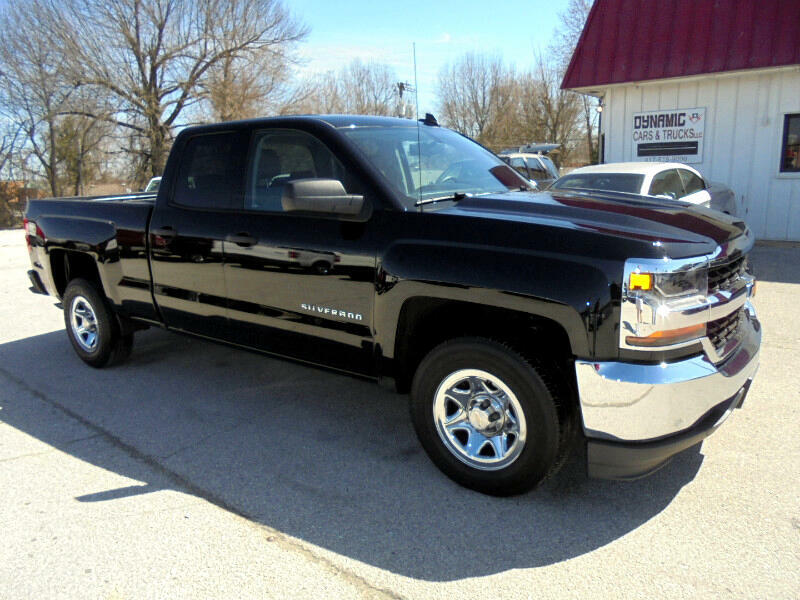 This 2017 Chevrolet Silverado 1500 Double Cab 4x2 is a 1-owner Clean Car Fax truck with 44k miles. This truck comes well equipped with the 4.3 V6 engine, Automatic transmission, power windows, power locks, cruise control, A/C, am/fm stereo, keyless entry, and Cloth seats. This truck is immaculate inside and out and it drives out wonderfully. The manufacturers factory warranty still applies also. Please call 417-732-5465 with any questions or to set up an appointment to test drive. Visit Dynamic Cars & Trucks online at www.dynamicrepublic.com to see more pictures of this vehicle or call us at 417-732-5465 today to schedule your test drive.